Home Backup/Restore SharePoint Tips and Tricks How to make Dataview Web Part Portable? When working with SharePoint DataView Customizations, by default you can not just copy paste the data view pages into new environment or even restore them from backup. This is because: The Data View Web Part uses List ID instead of List Name. So, How to make the Dataview Portable from one environment to another? Simple! 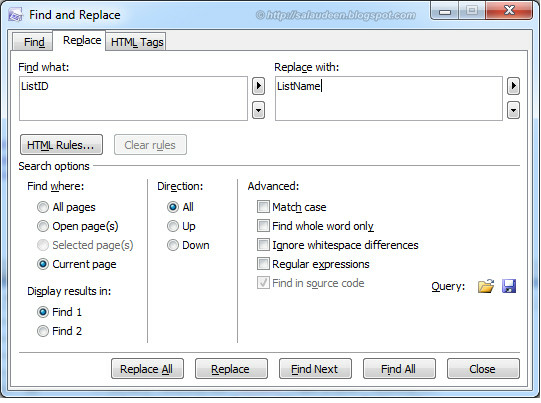 Replace the ListID to ListName and provide the List name in the place of GUID. Please note, These changes must be done once you complete all the customizations to the dataview webpart. You will not be able to make changes using Design view in SharePoint designer after making these changes, because SharePoint designer uses ListID parameter, which we are going to replace! As always, Take a Backup! 1. Open the site & Web part page in SharePoint Designer. 3. Replace the DefaultValue="GUID" with DefaultValue="Your List Name"